Medical Imaging Services provides critical diagnostic and therapeutic services to inpatients, outpatients and emergency services patients of all ages. 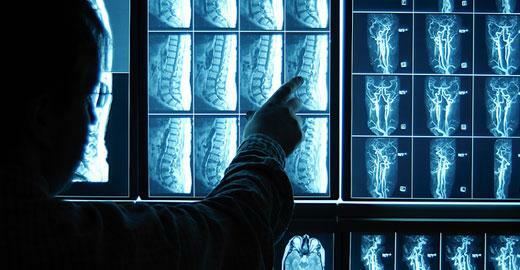 Our Board certified radiologists provide timely interpretation of all imaging exams. Upstate University Hospital Community Campus physicians have access to electronic and digital images through the physician Portal. Images complete with exam timeline information and results are readily available via internet from inside and outside the hospital. Physician access to electronic imaging exams facilitates referring physician/radiologist consultation without delay for film retrieval and real time image review during patient consult. These services help us provide you with exceptional care and help us communicate with effectively with your provider. For information regarding the many radiologic procedures and therapies available to you and your family, visit Radiological Society of North America, Inc.
To schedule an appointment, call Patient Access Scheduling at 315-492-5703. Hours of operation: Daily, 7:30 a.m.-5:00 p.m. The Medical Imaging Department is open for emergency services at all times.